Lattimer Gallery has promoted contemporary Northwest Coast Art since 1986 by offering an exciting and diverse collection. It is our continued commitment to encourage and support the emerging and established artists that we represent. Lattimer Gallery was established in 1986 by Leona Lattimer and her husband, David. Having spent much of their adult lives travelling throughout British Columbia, Leona and David made strong personal and professional connections with many Northwest Coast Native artists. Leona and David continued to foster these relationships with the artists once they settled in Vancouver. Peter Lattimer, the grandson of Leona and David, took over the family business in 2001. 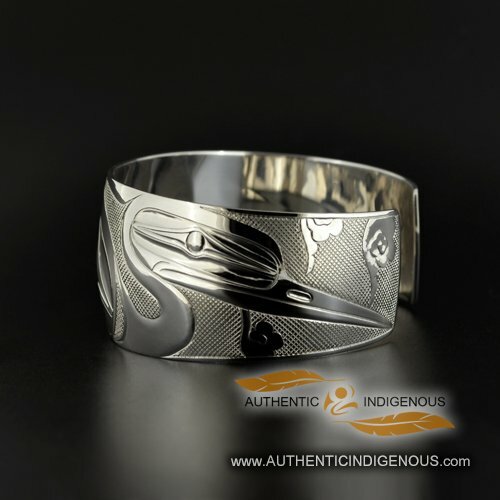 It has been especially important to Peter that young First Nations artists within British Columbia are represented within the Northwest Coast Art market. Supporting emerging artists is a strong focus of Lattimer Gallery. Lattimer Gallery has the unique, warm atmosphere of a Northwest Longhouse. We offer a fascinating display of gold and silver jewellery, argillite carvings, soapstone sculptures, bentwood boxes, masks, totem poles, and much more. In our "longhouse" we also feature a large selection of original paintings and limited edition prints by many well known Native artists. We want you to be swept away by the selection and quality of art that we house here at Lattimer Gallery. We offer free gift wrapping in the gallery and are happy to extend this service to the web as well. We ship worldwide and accept all major credit cards. Lattimer Gallery is open seven days a week, so we will always be here for you. In addition, we offer formal fine art appraisals on First Nations art, by appointment. Thank you for taking the time to stop by and see us either in person or on the web.